Over the summer I got acrylic nails done and last month I finally got them taken off and my nails were completely ruined! So for the whole month of August I was trying to restore my nails and make them look healthy again. I heard that it usually takes 3-4 months for your nails to go back to normal after you get acrylics off but for me it's been a month and my nails are close to looking normal again. 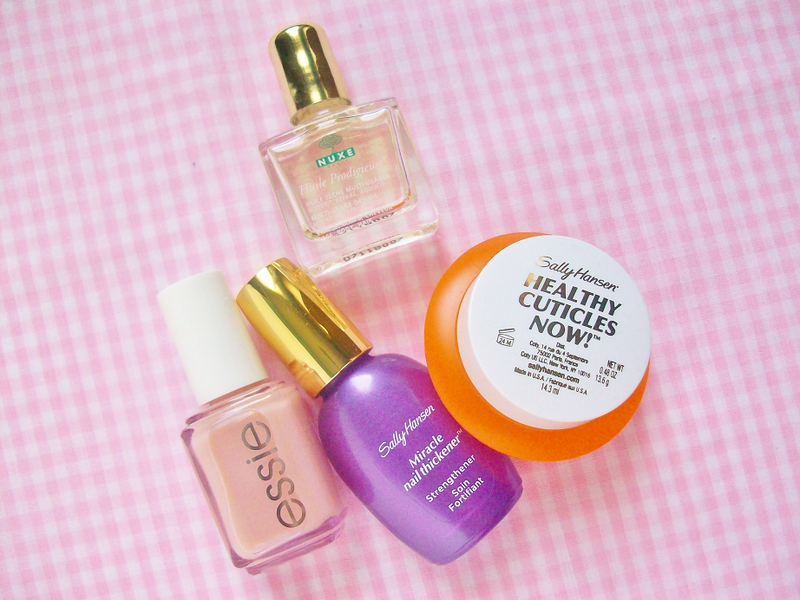 I've been trying this nail care routine for the past month everyday and it work wonders so I wanted to share with you guys the products that I've been using and recommend. 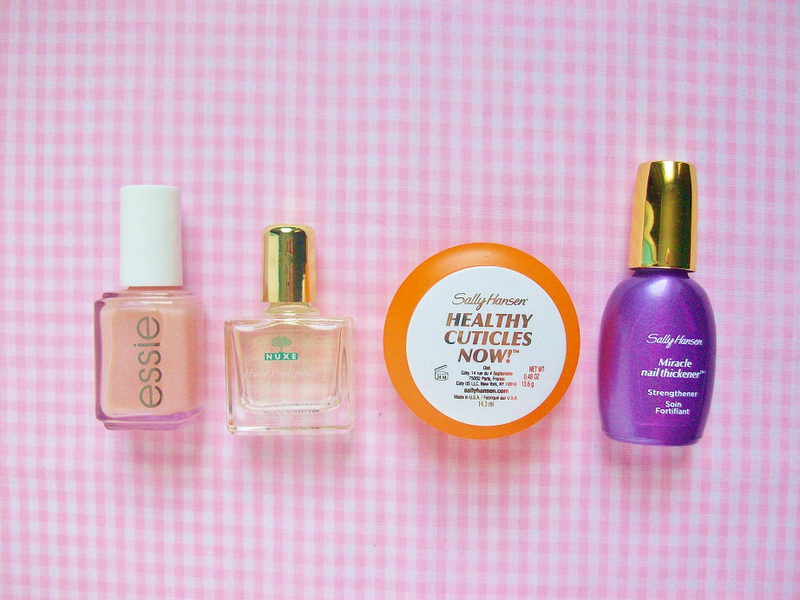 The first step of my nail routine is to massage oil onto my nails for around 10 minutes. I hear that extra virgin olive oil is the best to use but any oil will do, I use this multi use oil that I got in my Birchbox. By using oil it really softens the cuticles and nail beds. This step was the best for healing my nails. Nest I apply this cuticle cream to my cuticles and inner part of the nail bed. I massage this until the cream absorbs into my nails. 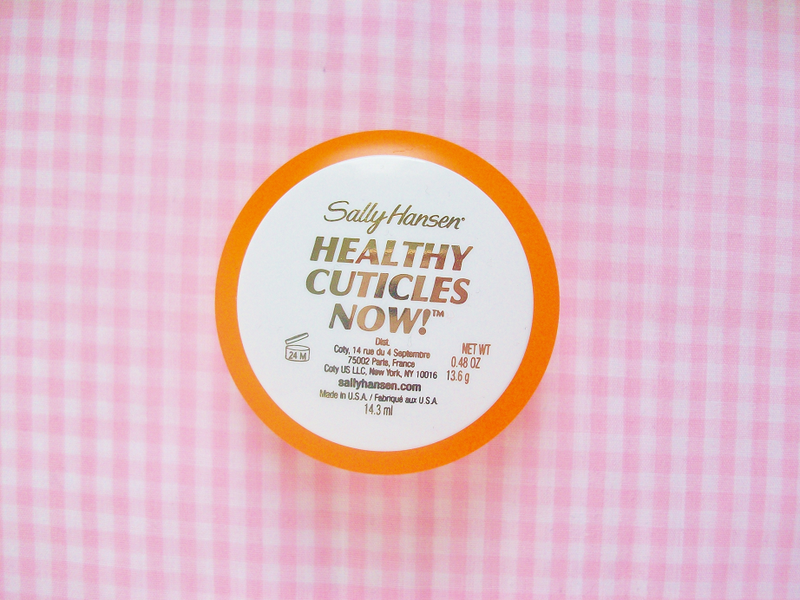 After the cuticle cream I brush on the Sally Hansen miracle nail thickener. This is suppose to strengthen your nails and make them feel thicker. I apply one coat and then wait for it to dry before moving onto the final step. 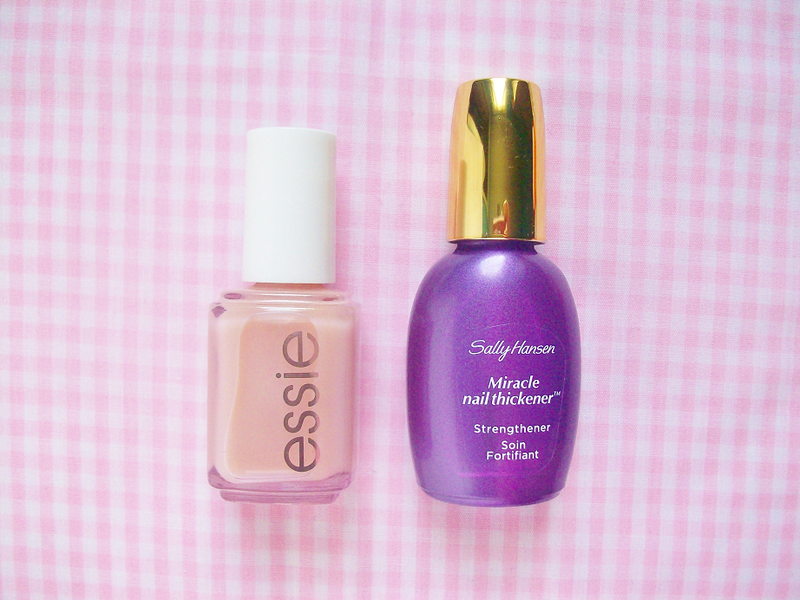 Last but not least I apply on this Essie nail strengthener. In five days it makes you nails strong and healthy. I tested it out and it did make a big difference! 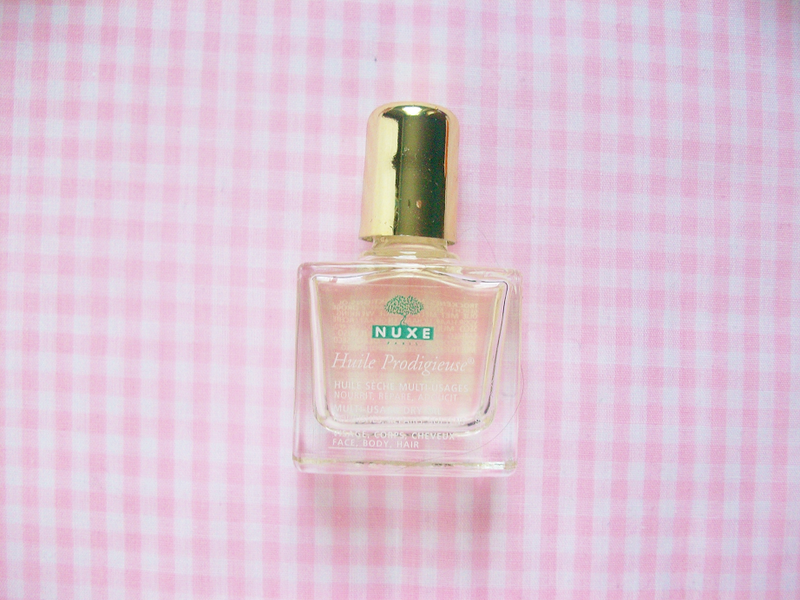 I apply on one coat and it leaves a beautiful light pink wash over your nails. I highly recommend this product if you want stronger nails! Other tips I have for fixing your nails after acrylics is to avoid painting your nails and keep your nails really short (if not your nails will keep on splitting).